Feeling creative? Give a gift that makes a statement. Design your own unique wine label by adding your image and personal message to our Talmage Cellars wines. Perfect for birthdays, anniversaries, corporate gift-giving, thank you’s, weddings and holiday gifts. Welcome to Decanted Diva LV! I've turned my love of wine into my very own business; providing personalized wine tastings and unique wine gifts. Like a wise person once said - if you love your job you won't work a day in your life. WineShop At Home provides wine tasting parties in the privacy of your home or office! Our try before you buy method takes the guess work out of wine selection, pairing, and tasting. Sample exclusive, artisan wines, find out more about wine, and purchase them for your very own. What else can I offer you? Personalized label for special occasions. Looking for the perfect wedding gift? Retirement gift? 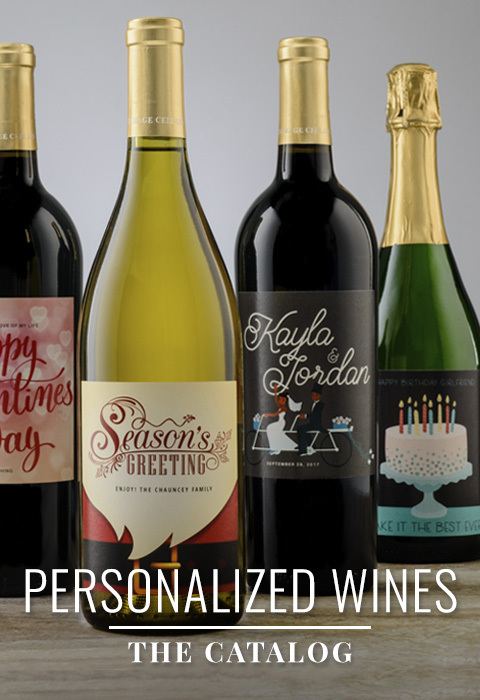 Order bottles of wine with a personalized label. WineShop at Home - the ultimate at home shopping experience. Contact me to plan your unique party and see how easy entertaining can be! Interested in a rewarding career in wine? Talk to me about starting as an independent wine consultant through WineShop at Home.